Flowers once portrayed a coded language of emotions, desires and unspoken messages from the sender to the recipient. Today, although largely forgotten, this language is as relevant as ever. Flowers are able to symbolise love, regret, passion or remembrance, and have the ability to subtly convey a message that underlines the spoken word. Shane Connolly brings together the historical symbolism of blooms, buds and leaves to create passionate flower arrangements that express particular sentiments. Step-by-step instructions explain how to prepare the flowers and how to arrange them to best effect, whatever the message. 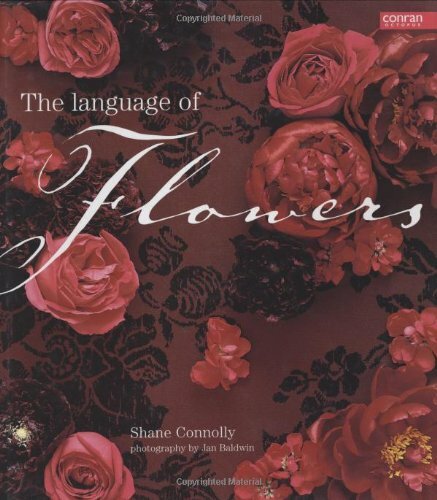 It has a useful, comprehensive glossary providing a quick-reference guide to the symbolism and associated meanings for each flower.